After your first couple of days in your MLM business, you may be very optimistic that the next step you take will take you to the moon. That you will be able to obtain the financial stability to afford cars, vacations and the home you have always wanted. It is that optimism that you want to keep during the ups and downs that will invariably come your way. 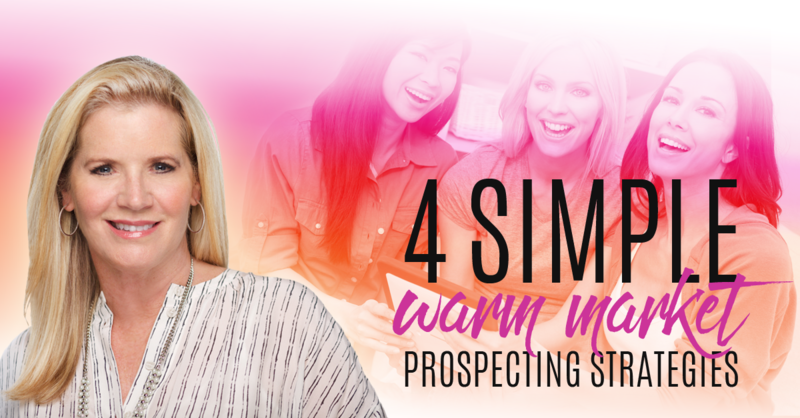 One of the first steps is your upline will advise you to make a list of the people you know, regardless of their current situation, and this will act as the basis for your “warm market”. This can be a great foundation to start with. Your next step is you will call them, reach out to them, even text them to get the introduction of your new business started with them. In addition to calling your friends and family, you will also want to start posting on Facebook or Twitter about your business and the exciting opportunity you have discovered. You will be out there excited and getting your business going and sooner or later, you may receive a message, or a call, telling you that what you’re doing is a scam or even illegal or that you shouldn’t bother others. Please note: This has happened to all of us in the MLM world. If you’ve been around network marketing for any amount of time, these scenarios will probably sound familiar to you. Don’t be discouraged as your warm market will still be the most cost effective and quickest business connections that you can make. There are just a few things when approaching your warm market that you need to keep in mind. Approach Your Warm Market As A Customer: This approach can bring you a lot of success. If you’ve done MLMs prior, than you know what I’m talking about, especially if you’ve contacted your warm market on those earlier opportunities. You’re more susceptible to rejection if you start with the business aspect first but you can show greater success if you start with “I know this business may not be for you, but I believe you could enjoy the product. I am just asking you to be a customer. I am looking for 10 customer testimonials. May I count on you to be one of them?” This approach allows them to try the product and evolve into a customer and may be even more! The chances are even greater as you build your business of them wanting to be a part of it. Remember How You Know Your Invite: Remember, the people you talk to in your warm market already know who you are. Be relatable to them and personal. Bring forward how you know them in the first place. Make the context make sense. Your history is already known to them and unless you have a track record for success in business, it may be challenging for you to communicate your opportunity. This is where how they know you will play a factor in your approach. They already like you! I would suggest your warm market should consist of people who like you and know you. As you initially engage with people, be sure to approach them in a way that not only makes sense but also sounds familiar to them. Sometimes we are so excited in the beginning, we talk too much or we don’t even sound like ourselves. Try not to have a conversation where they think they’re speaking someone they don’t recognize. Be yourself. Take a moment and be professional and have fun when you are presenting to your warm market. Know You Will Be Turned Down: The chances of everyone in your warm market joining your new business instantly is very unlikely. For those that say no or not right now, the support of your upline will help you change your warm market’s opinion of MLM over time and some are likely to join you – but it will take time for them to see it. Don’t be in a hurry. Don’t be discouraged. This is all very normal. And remember you want to work with people who want to work with you. If you have to beg them in, you will have to beg them to stay in. Always Ask for Referrals: This is just a great approach because it can sound natural and something you can quickly feel comfortable doing. 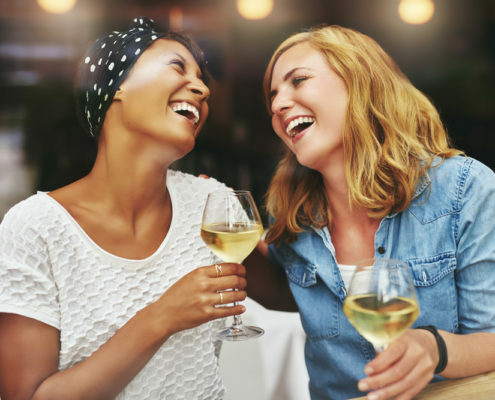 A terrific way to bring this topic up is by transitioning from the initial offer to dialogue similar to “I know this business may not be a fit for you, but if you know of any motivated people like yourself that want to make some extra money and are looking for more…” Once you get some referrals, refrain from texting or emailing a link with more information unless they have shown an interest already. It’s best that you speak voice to voice with the person they are referring you too. This will give you a chance to see if they will be a good fit for your team. I was told by a mentor early on: if it is to be, it is up to me! It’s up to you to make the decisions that come with building your own business and it is up to you to decide to utilize your warm market and how you will do that. There are lots of approaches. Just some work better than others. Remember that you’re a professional and professionals will continue to seek out additional ways to present their business. Keep reaching for your goals and never ever let someone take your dreams away just because they don’t see. You do. And that is all that matters! P.S. I hope you found my article useful on Warm Market Prospecting Secrets. If you liked this blog post, I think you will love my blog post on 6 Secrets from MLM Pros. Every January, we all go through the motion of setting New Year’s resolutions. They usually range from eating healthier, a gym membership, learning a language and perhaps skydiving, being more forgiving of others or cutting back on television. The central point to most resolutions is changes to ourselves and helping us be the person we want to be. We have the best intentions. This year. This time… Unfortunately, by February, most of those good intentions that we set for ourselves seem to fade away and eleven months later we find ourselves setting the same resolutions for the next year. Here are a few pointers to keep it all in perspective and keep you on track all the way until December. It couldn’t be said any clearer. Change can be difficult. I don’t like change either….It can be scary as well but I have found regret can be a lot scarier. As you begin to make changes in your life, it may seem like too much so you take a step back and then two, and then we no longer pursue what we set out to do. We have to find that inspiration in ourselves to continue and realize that change, as difficult as it may seem, will be so worth it in the end. I love to have the really big dream “out there” and creating a dream board specifically for that dream has always helped me manage the difficulties that are bound to come up when we make big changes. Changes don’t have to be done in one giant leap. When we try to take it all on all at once, that is when it is easy to just give up. Chunk it down into doable steps. Keep it simple and manageable. Small steps are better than no steps and will help you reach your goal without experiencing the feeling of being overwhelmed. Figure out your goal -what it is you really want and determine where you currently are and set those increments and you’ll have achieved it before you know it. Losing weight is one of the most common goals we set and then get frustrated by. I have found that no matter what the goal, what we can measure and track, we can change. Writing down what I eat and weighing myself every week at the same time and same day has definitely helped me. This is where self-help can run into it’s biggest obstacle. 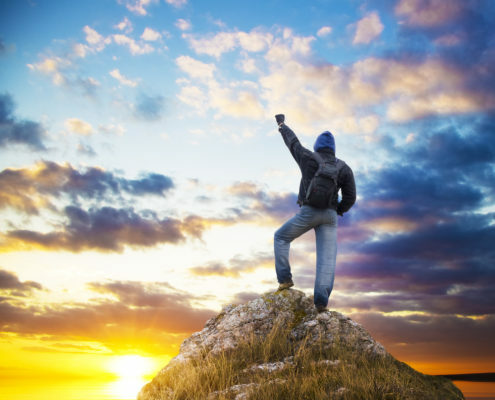 That moment when you feel your goal is too big to accomplish and you start to lose the drive to achieve it. I urge you not to give up. The goals we set for ourselves for self-improvement are things we recognize need changing. Stay with it because if it is something that important to you, you can do it. Keep in mind why you started so you can remain motivated. You may think that your goal is tough but remember, so are you. It is when I look back at what I have accomplished over the years that I realize that the times were the toughest also created the most powerful changes in me. With all the references to embracing changes, taking time and not giving up, be sure to take regular moments for yourself and reflect on the progress you have made. Celebrate the wins! This time will give you a chance to re-evaluate your plan and make any changes that may be necessary. These checkpoints can build up your self-confidence as you ask how you’re doing and the goal you set becomes closer to achieving. I can’t tell you how much it helps me to have a quarterly check in with my goals for the year. It keeps them top of mind and always reminds me what I have accomplished and what I need to spend time on. Here is another great resource for you for self-help. 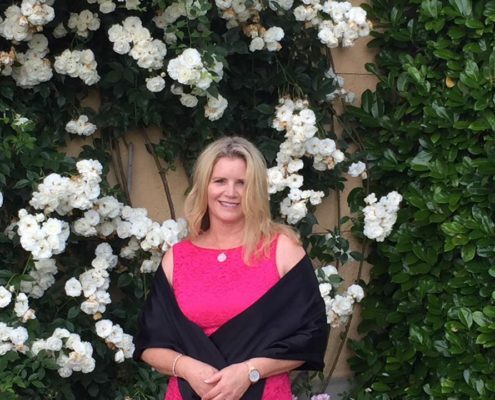 I came across this blog by Susie Moore that I encourage you to read called The Top 5 Lessons I’ve Learned After Reading 500+ Self-Help Books. I loved this article! It also provides great book recommendations for you to explore the world of self-help further. P.S. 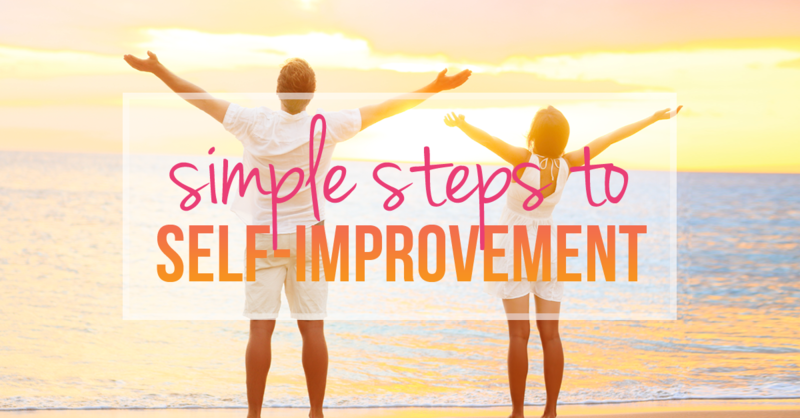 I hope you found my article insightful on Simple Steps to Self-Improvement. If you liked this blog post, I think you will love my blog post on Is Your Kindness Your Weakness?.